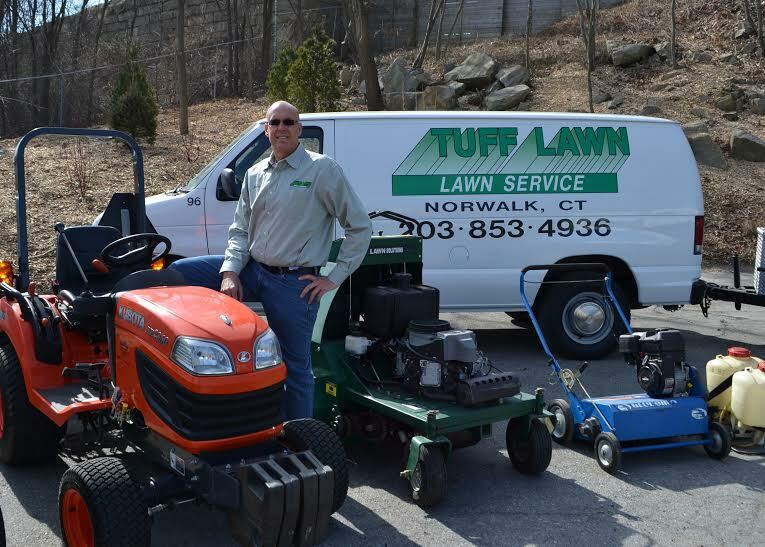 Since 1989, Tuff Lawn has grown into one of the most successful, independently-owned lawn care companies in Fairfield County, Connecticut. John Henderson created Tuff Lawn with the goal of delivering the best Connecticut lawn care available in Fairfield County. We are committed to providing the highest quality service and customer satisfaction to our clients. Creating and maintaining a beautiful, healthy lawn takes more than just regular watering and mowing. It takes a carefully designed program of care that addresses each and every aspect of your lawn’s health and growth needs. Tuff Lawn’s comprehensive menu of services is provided by technicians, licensed by the Connecticut Department of Environmental and Energy Protection Agency. From fertilizing, seeding and aeration, weed, insect and disease controls, liming and soil testing to Ornamental Tree and Shrub Care, Tick, Mosquito and Insect Programs, as well as the many other services related to lawn care. Tuff Lawn provides these services to both residential and commercial clients in the Fairfield County, Connecticut area. Tuff Lawn provides premier lawn care service to Fairfield County, Connecticut including Westport, Weston, Southport, Fairfield, Darien, New Canaan, Stamford, Greenwich, Old Greenwich, Riverside, Cos Cob, Norwalk, Wilton, Ridgefield, Easton, Weston, Redding, Danbury, Trumbull and other surrounding Connecticut communities. We are equipped to handle both residential and commercial clients.